A crash between two vehicles in Main Street, Buckshaw Village, meant firefighters had to treat four people, emergency services said. 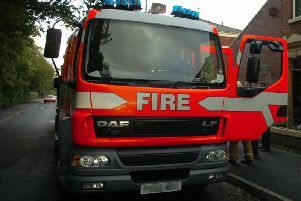 Three engines and crews, from Chorley, Bamber Bridge, and Leyland, were called to the crash shortly before 4pm yesterday. They used cutting and stabilisation kit, as well as a winch, to rescue one trapped casualty, a spokesman said, while three others were given first aid. A police spokesman today said he didn't believe anybody suffered serious injuries.